Bio-wetter is an organic wetting agent extract from the Yukka plant. The wetter contains natural bio stimulants and water tension breaking saponins. 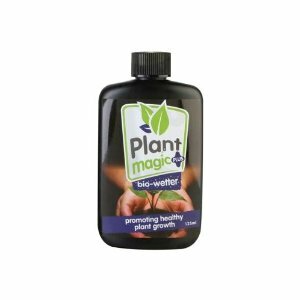 When used as a foliar it will actively stimulate all micro life on the plants surfaces helping with the absorption of more trace elements, increasing overall plant health. Not only can this be used as a wetting agent but it has the added benefit of doubling-up as a soil drench; an excellent tool for softening hard compacted soil and stimulating biological activity. Bio-wetter is also an excellent anti-stress agent helping your plants to recover from things such as transplanting, extreme temperatures, toxic shock and transporatation damage.